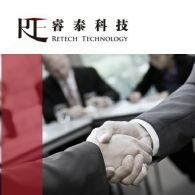 Retech Technology Co Ltd (ASX:RTE) is one of the largest technology solutions providers in China and provides solutions to companies that enable them to deliver corporate training online. 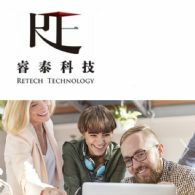 The Company delivers solutions to a diversified and established user base via three channels: E-Learning Solutions, E-Training Partnership and E-Course Direct. 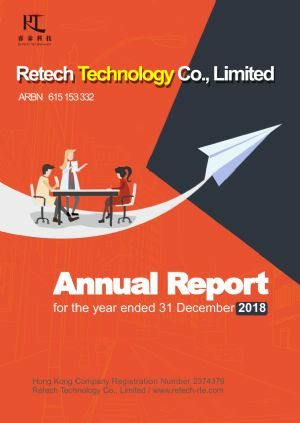 Retech Technology Co., Ltd (ASX:RTE) a leading Shanghai-based technology solutions company, is pleased to provide a market update to accompany its full-year preliminary results for the period ended 31 December 2018, which is currently in the process of auditing. 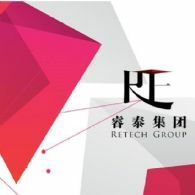 Retech Technology Co., Limited (ASX:RTE) is pleased to announce that Ms Meng Xiaoshi joined the Board as a non-executive director and a representative of City Savvy Limited on 18 January 2019. 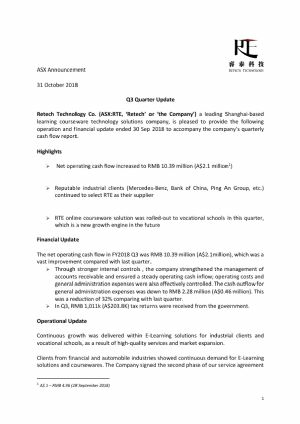 Retech Technology Co. (ASX:RTE), a leading Shanghai-based learning courseware technology solutions company, is pleased to provide the following operation and financial update ended 30 Sep 2018 to accompany the company&apos;s quarterly cash flow report. 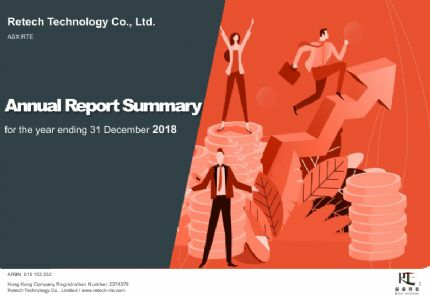 Retech Technology Co. (ASX:RTE) a leading Shanghai based E-Learning online platform and courseware technology solutions company, is pleased to provide the following financial update to accompany it&apos;s Half Year FY2018 report. 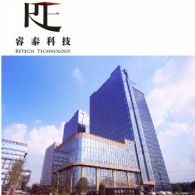 Retech Technology Co., Limited (ASX:RTE) is pleased to announce that Mr Kang Li joined the Board as a non-executive independent director on 1st August 2018.